My passion is to connect buyers and sellers across the globe! The Sotheby's Brand offers so much to clients! Everyone Deserves the Exceptional! Family, working out, golf and enjoying time with friends! Patrick's background in technology systems, deep experience in social/digital marketing and direct access to the latest digital technologies ensures that his clients get the best global client listing exposure and positioning. Pat is uniquely positioned to work with buyers and sellers alike. His access to expansive international referral networks connects buyers and sellers both locally and globally. Pat is always accessible - whether it's an in depth call or a quick text, he is there - fully engaged, completely responsive and fast-acting. His good nature, ease with people and "can do" attitude coupled with his access to the best teams in the field result in effective negotiations and consistent seamless transactions. Patrick has been a Westchester Country resident since 2009. He prides himself on strong friendships and connections within the community and maintains long lasting relationships. Pat's love of family, community, neighbors, close network of friends and colleagues is infectious. It's not hard to find Patrick around town! He enjoys socializing with his wife and friends at some of his favorite local spots, including Chat 19, Larchmont Tavern, Rye Road House and Aurora. 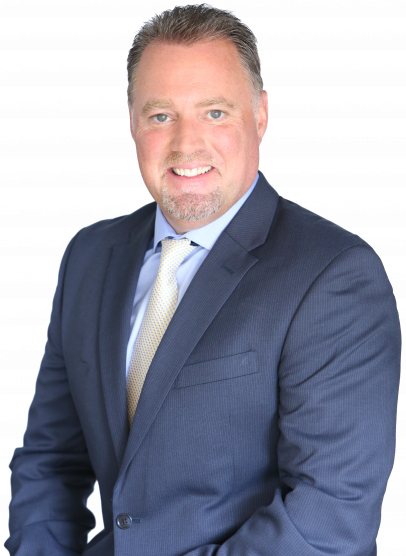 In his spare time, Pat enjoys spending time with family and friends, cooking with his wife, reading, running/working out, skiing, relaxing at the beach and enjoying time in the Berkshires. Pat will introduce you to the communities and properties across Larchmont/Mamaroneck and the Sound Shore Waterfront. With Pat, clients will quickly understand why he and so many others call Southern Westchester home. Patrick is extremely knowledgeable and responsive. As a first-time investment property buyer, Patrick has provided great perspective and helped me to avoid major pitfalls. I highly recommend Patrick for first-time buyers as well as for buyers/sellers of high-end properties. Patrick was wonderful to work with in buying my first home with my boyfriend. He is quick to respond and happy to ask answer any questions we had as first time home buyers. He made himself available to see homes as soon as they came on the market which allowed us to find the home we are moving into! He is knowledgeable and trustworthy and we would highly recommend working with him. Our family had a tight timeline to move from NYC to Westchester County and we were very specific with our demands around school districts for our kids, neighborhood feel, distance to the city, and overall lot size. We needed someone with a NYC style pace, a surgical focus on our stringent housing requirements, and technological angle to deliver the content to us in an efficient way. We found all of the above in Patrick. He was extremely efficient and didn't waste our time when we made the trips to Westchester to see the properties. He actually did a lot of the 1st visits without us and was able to triage and hand select the houses that made sense and used technology to drive us in the right direction. He had everything from the land surveys, to the appointments, to the listing details, and everything in between on his personal device. We had a question and he always had the answer. We got the home of our dreams within 2 visits and in less than 4 weeks - an unbelievable feat for people coming from NYC. He was also instrumental in negotiating the best price and always looking out for our best interest even if it didn't make financial sense for him. Even after we closed, he was there to help us get settled, answer questions about the neighborhood, etc. We recommend Patrick with the highest level of enthusiasm and without any reservations. It’s been an incredible experience working with Patrick Mahoney of Julia B Fee Sotheby's International to sell my townhouse in Port Chester. He was awesome, easy to work with, fun, responsive to emails, phone calls and quick texts. He was a huge help pricing and preparing my home for the market, which received an offer in two days! I highly recommend him to others looking to sell their homes. Patrick helped us navigate the search for, and the purchase of our first home! Reachable at all hours, Patrick always provided us with reassurance that we were making the right choices. His knowledge of the area, along with his deep contacts and connections with contractors, painters, and other tradesman make him a full-service concierge agent. We met Patrick when we rented our house in Rye, as he was the listing agent. We shared with him that our short term plan was to most likely buy in the area. He understood very quickly what products my wife and I were looking for and relentlessly worked to find us our perfect home. Always available, wether early mornings, weekends or late afternoon, we felt taken care of at all times and knew he had our best interest at heart. We are now moved in our new home that Patrick help us secure. We are very happy and believe that in the process Patrick has become more than an agent to my wife and I! Patrick was right there with me through the entire buying process. He responded immediately to any communication & he made himself available to me to look at homes or to answer my questions. He was friendly and supportive. He always had a great attitude no matter how many homes we looked at.